5th National Ambassador for Young People’s Literature (2016-2017) Gene Luen Yang calls us all to READ WITHOUT WALLS, exploring books about characters who look or live differently than you, topics you haven’t discovered, or formats that you haven’t tried. READING WITHOUT WALLS promotes diversity and open readers’ eyes to new ideas and experiences. 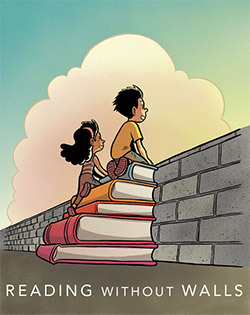 In this divided time in our nation’s history, READING WITHOUT WALLS is an inclusive way to spread appreciation and understanding for others — and to learn new and exciting things. Head over to the official Reading Without Walls website to learn more about the challenge and how you can participate! 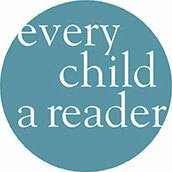 Visit EveryChildaReader.net/Ambassador and www.ChildrensBookAmbassador.com for more information about the National Ambassador program. Gene Luen Yang is the Printz Award winning author of American Born Chinese and two-time National Book Award finalist. Yang was the country’s fifth National Ambassador for Young People’s Literature. Learn more at geneyang.com and follow him on Twitter @geneluenyang.